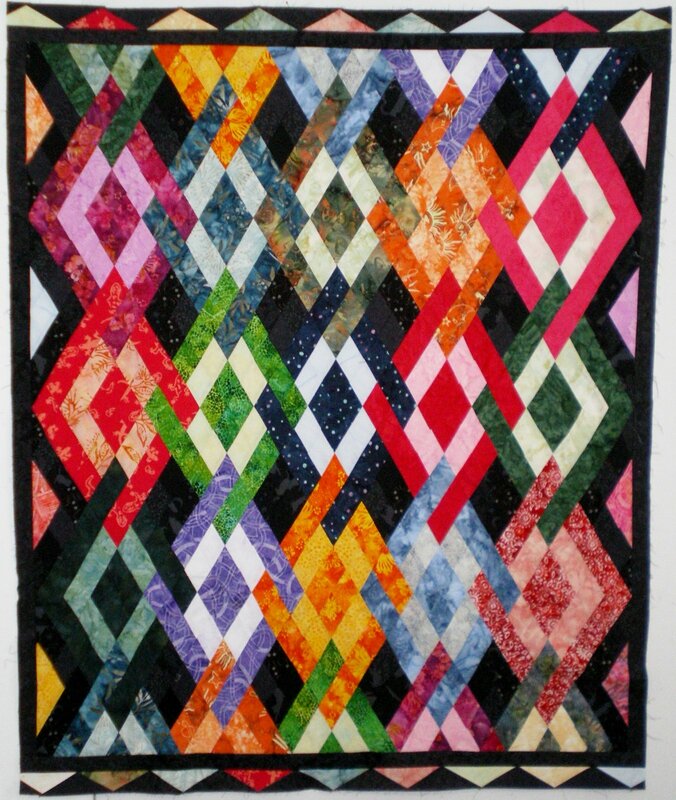 Peggy's Diamonds can be pieced with Jelly Roll strips or Fat Quarters. A great scrappy quilt for using up your stash. Use any size 60 degree diamond template to create a great throw quilt. I recommend using From Marti Michell 2-1/2" Strippers Templates, or Perfect Patchwork Templates Set G (G44). Quilt is pieced in diagonal rows with no set-in seams. The sides and top are trimmed off square and a simple border added.